European Criterium is a tournament of competitions in figure skating for Juniors and younger categories in accordance with the rules of the ISU. The entries for the competition will be this year held via web portal europeancriterimu.eu. 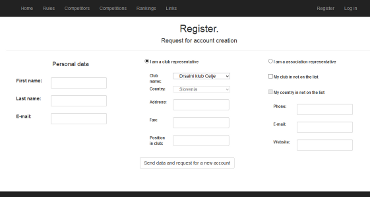 Before entry procedure club/association representative need to apply for new account.